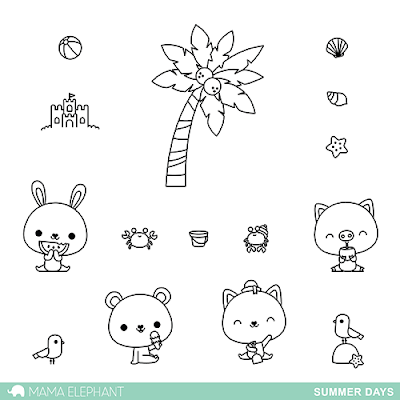 Today's Intro is Luli Bunny's latest addition, Summer Days. And what a delightful summery set it is! 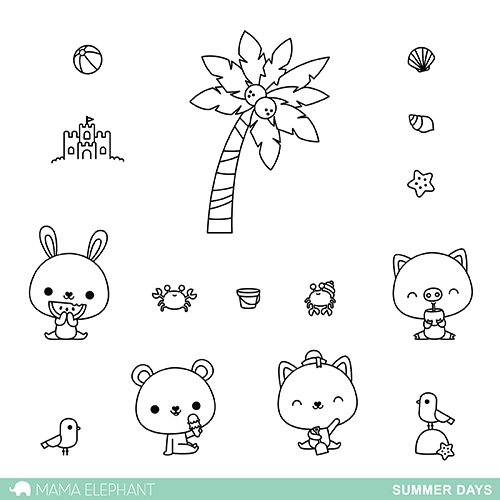 These sweet characters totally evokes the long days of Summer. I went for a shaker card with that sweet little piggie. All the images were watercolored. Love the pineapples in the tree. too darn cute! love the tiny smiles! So cute! And what a great card! LOL!!! They are so cute! 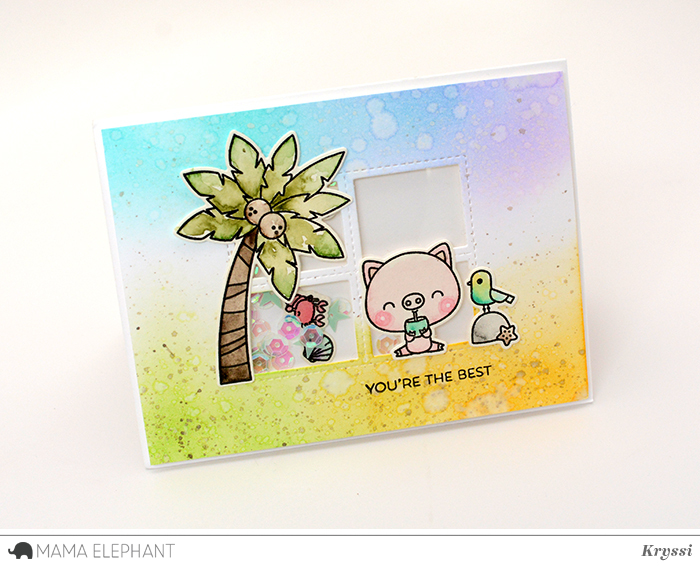 I'm piggy obsessed & love this card! !